First Floor 1024 sq. 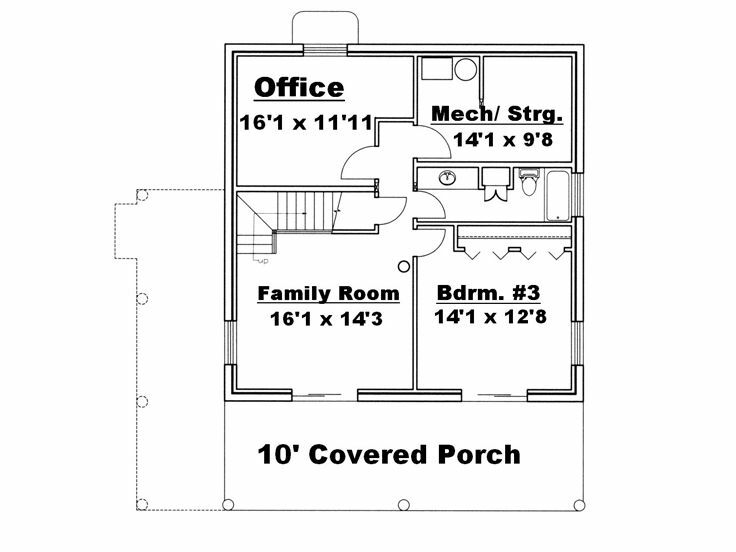 ft.
Second Floor 659 sq. ft.
Lower Level 1067 sq. ft.
Width 32 ft. 8 in. Depth 32 ft. 8 in. Approx. Height 26 ft. 7 in. Lower Level 10 ft. 0 in. 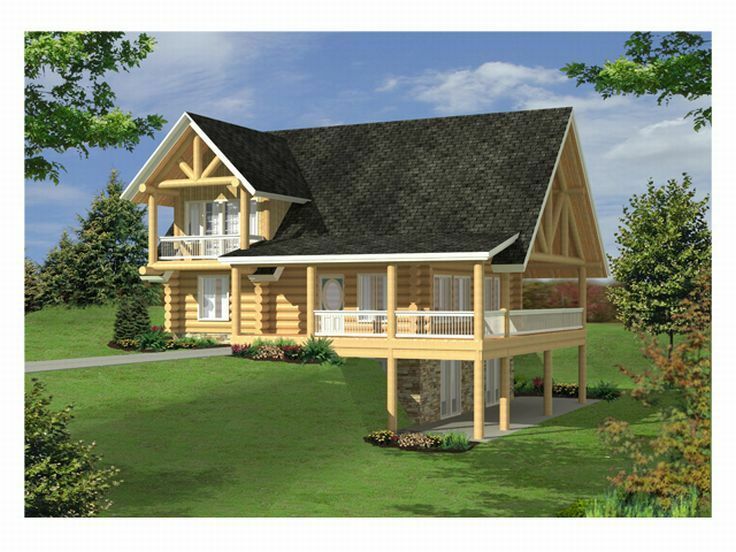 Suited for a narrow lot, this country log home makes a charming starter home. Relax outdoors on the covered front porch as you watch the sun go down. 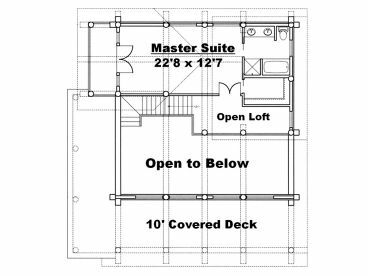 French doors open to the spacious floor plan with combined dining and great rooms. A pantry, island and access to the laundry room offer functionality in the kitchen. A secondary bedroom accesses a full bath. 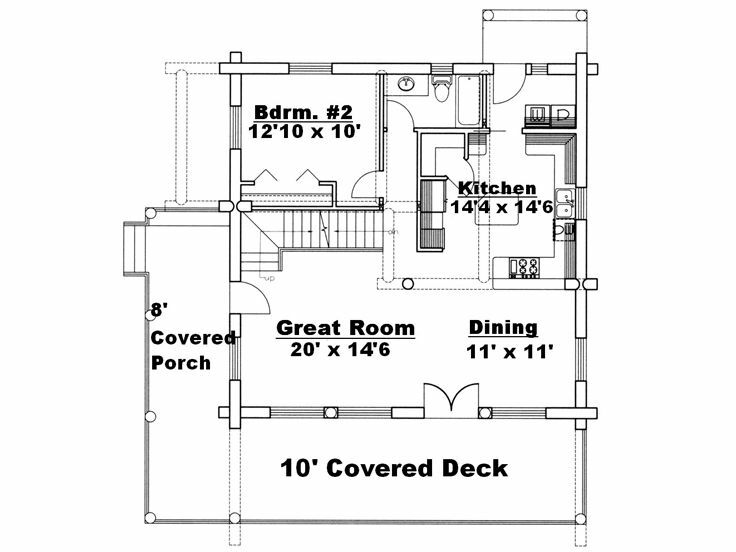 Upstairs, the master bedroom indulges in privacy with full bath, walk-in closet and balcony. 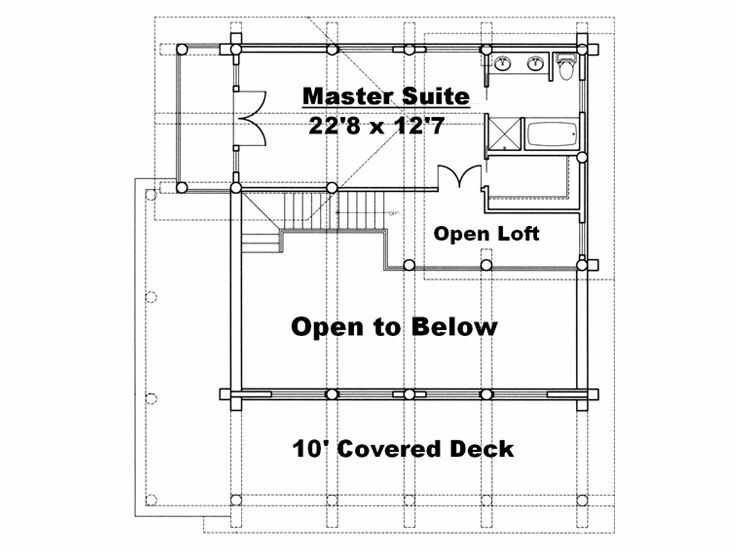 The open loft overlooks the living areas below and creates the perfect sitting area. 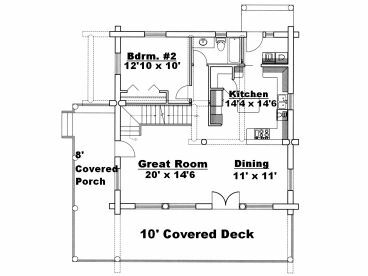 On the lower level, a walkout basement gives this design everything it needs to work well on a sloping lot. Bedroom 3 enjoys sliding-glass-door access to the outdoors. 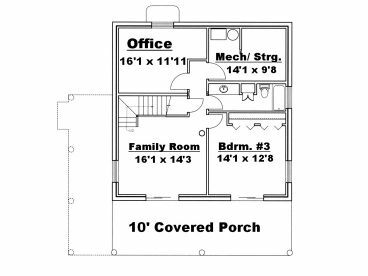 You can keep an eye on the kids playing the family room as you work in your convenient home office. 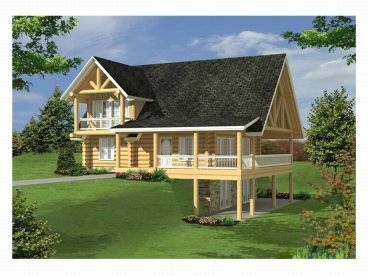 Perfect for comfortable family living, this two-story country home plan is hard to resist.